The following 11 films have been uploaded from You Tube and were produced by Paul Vincent as the final part of an MA degree in Digital Media. 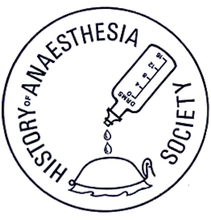 Through a series of aural and visual vignettes they retell the experience of one person’s anaesthetic awareness and it is hoped that these films will act as the catalyst for online discourse at the website www.anaestheticawareness.info on which they are hosted. Warning: Some of the vignettes contain flashing images and strobe effects. Some of the imagery utilised may be shocking, traumatic or offensive to some.